Obituary for Andrew "Butch" Kolich | Buechele Funeral Home and Cremation Services, Inc.
Andrew B. 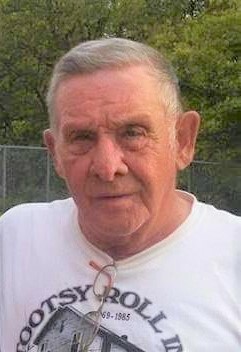 “Butch” Kolich, 78, of East Brady died Monday, April 1, 2019 at Clarview Rest Home. Born August 18, 1940 in East Brady, he was the son of Andrew “Gump” and Lucille E. (Greenawalt) Kolich. A graduate of East Brady High School, Butch joined the US Marine Corp and served as a Corporal E-4. He was the recipient of the Good Conduct Medal. On September 17, 1966, Butch married the former S. Carol Bowser. She preceded him in death on November 26, 2014. Over his career, Butch was employed by Rex Hide in East Brady, PPG in Ford City and Custom Glass in Kittanning. Butch was a member of the American Legion Post #488 in Bradys Bend and the VFW Post # 7132 in Rimersburg. For many years following his retirement, Butch was the bar steward at the American Legion. He enjoyed both rifle and archery hunting. In his younger years, he enjoyed drag racing in Sharon, PA. He liked fishing with his sons; either trout, salmon or river and took many charter trips for walleye. Every year Butch planted a large vegetable garden and enjoyed canning his crops. Surviving is 1 son; Doug Kolich of East Brady, 1 daughter-in-law; Laurie Kolich of Bradys Bend, 3 grandchildren; Jessica (Andrew) Hartle, Austin Kolich and Bobby Kolich, 1 Great-Grandson; Kyler Kolich and 1 sister; Dolly (James) Martin of Bradys Bend. Butch was preceded in death by his parents, his wife, 1 son; Brian Kolich, 1 grandson; Dakota Kolich, and 1 brother; Arnold “Kit” Kolich. A Military Service will be held at 6:00 PM Thursday in the Funeral Home. Funeral Services will be held at 7:00 PM Thursday in the Funeral Home with Pastor Paul DeBacco of the Criswell Bible Baptist Church officiating.